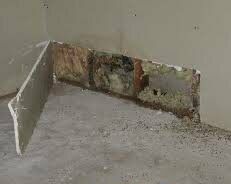 Searching for Mold Information? CIA Has it! …Since the #1 search term regarding mold on Google is black mold, it’s obvious that many folks know that black mold is dangerous. But not all mold is dangerous, not even all black mold. And not all dangerous mold is black mold. Two of the most commonly associated black molds are species S. chartum and S. chlorohalonata, just two of the 50 know species of the Stachybotrys genus of mold. Commonly found growing in building materials after flooding and other water damage, these variants produce mycotoxins as a by-product of their metabolism. It is the mycotoxins in Stachybotrys (and other mold families) that define the term toxic mold. To complicate matters, other mold species even react with household chemicals to produce Volatile Organic Compounds that can also be toxic (see our VOC testing page for more). While it is hard to generalize about the bizarre world of fungi (with thousands of mold species, each different in its: dangers and characteristics), it can be said that while many mold species are unhealthy to humans, toxic mold species with mycotoxins are decidedly more hazardous. These species create dangerous poisons that lead to severe disease or even death. For a more complete list of mold species found in American testing environments read our Mold Glossary. For more on the most common mold species found in normal testing, jump to our Common Mold Types with Mold Symptoms & Illness Chart. Requires days or weeks on damp surfaces to grow. Worse for those with weakened immune systems. Worse for those with mold allergy, asthma, and weakened immune systems. Can cause the rare disease zygomycosis, a severe fungal infection that can affect, eyes, nose, and internal organs. Unpleasant smelling, can be difficult to locate. Produces mycotoxins so toxic it was once studied for biological warfare. Thank you for reading. We hope you now know more about mold in your home. Of course, the only way to rest assured you thoroughly know your family’s mold exposure risk is to have a professional, certified mold inspection. 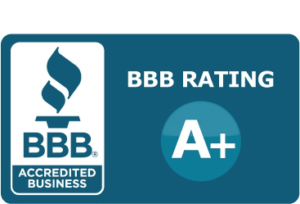 We hope you’ll call Chicago Inspection Agency for a free quote. 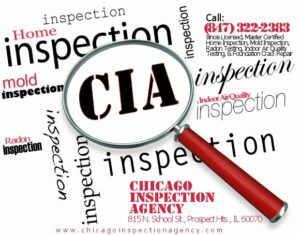 personalized, mold inspection from CIA will ease your mind. We’re glad you found us, and look forward to meeting you.